In recent times, South Korean manufacturing giant, Samsung, has been busy with the compatibility of its smartphones with the software-based Augmented Reality (AR) platform, ARCore. Last week, the company added the Galaxy A50 and Galaxy A30 to ARCore list and now, it has added its latest flagship, Samsung Galaxy S10 5G version. It must be noted that the other smartphones in the Galaxy S10 series (Galaxy S10, Galaxy S1oe, and Galaxy S10 Plus) are already on ARCore list. With this latest addition, the Galaxy S10 5G version is now guaranteed to deliver a smooth operation with AR applications. The addition of the Galaxy S10 5G version to ARCore list is quite timely considering the fact that the 5G network is still gaining popularity. In fact, this smartphone has not fully hit the market and it may take a couple of weeks before this happens. Samsung has a good market in its homeland and 5G was commercialized in South Korea a few days ago. 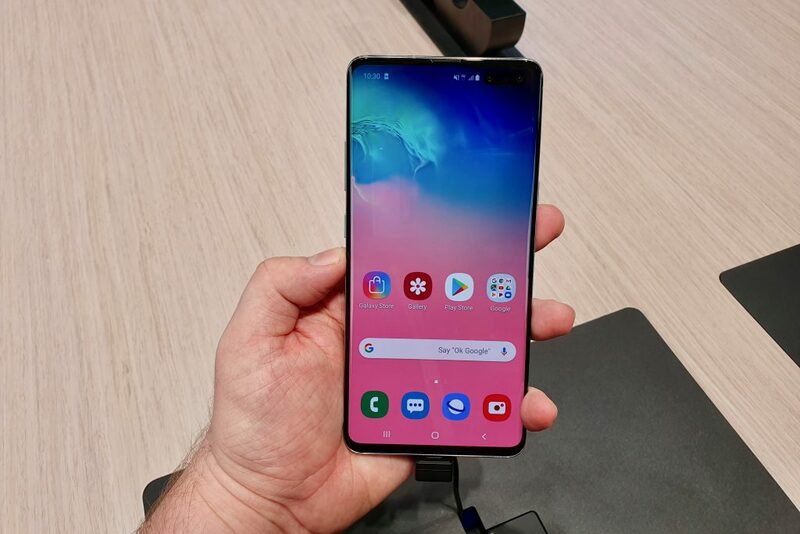 This means that potential users of the Galaxy S10 5G version in the country will not have any problems with AR applications. AR applications on the Galaxy S10 5G version will be smoother than on other phones because of superior sensors. Its rear-facing 3D ToF sensor will deliver a better and more accurate AR experience than other smartphones where the regular camera with other sensors like GPS, accelerometer, and gyroscope are used to map an area in 3D. Augmented Reality (AR) is a current trend in the manufacturing industry and this is why Google created a platform for integrating AR experiences with smartphones. This platform is called ARCore. An ARCore listed phone can deliver a virtual content as though it is real. The geometry of your smartphone can be determined using ARCore’s motion tracking technology. Just like it is with AR headsets, users can use sensors to detect movements and it all feels real. ARCore is a software feature and the major sensor that this feature uses is the camera and motion sensors. Thus smartphones with high-quality cameras and motion sensors can get this update but it has to be approved by Google. ARCore does not work with any Android system lower than Android 7.0 Nougat. If an OEM considers it necessary, any Android phone with the necessary features can be added to ARCore list.